Retailers are being given the chance to have their views on environmental impact heard at the 2016 Retail Energy Workshop. Hosted by Zero Waste Scotland (ZWS), the free workshop aims to gather insight from the sector on what changes can be made to reduce energy use, carbon emissions and costs for retailers. Organisers also hope to identify the support needed to facilitate sector-wide change. ZWS’s food, drink and retail sector manager, William Fergusson, said: ‘Addressing the future sustainability of Scotland’s retail sector is a vital task to ensure that retailers are prepared for the environmental challenges that will impact upon their businesses. Independent retailers, supply chain networks and industry partners, from refrigeration suppliers to shop outfitters, will address key resource-efficiency issues. Following the event, Zero Waste Scotland will examine the role of the retail sector in meeting Scotland’s long-term environmental goals. Marissa Lippiatt, head of resource-efficiency at Zero Waste Scotland, said: ‘The Scottish Government’s ambition to significantly reduce greenhouse gas emissions and curtail energy consumption over the next 30 years requires all business sectors to adopt green practices. Scotmid Co-operative will also be on hand to present the results of its retrofitted shop at Moredun, Edinburgh (pictured), which was the first of its kind to implement a building-management system which optimises its use of lighting, heating and refrigeration. 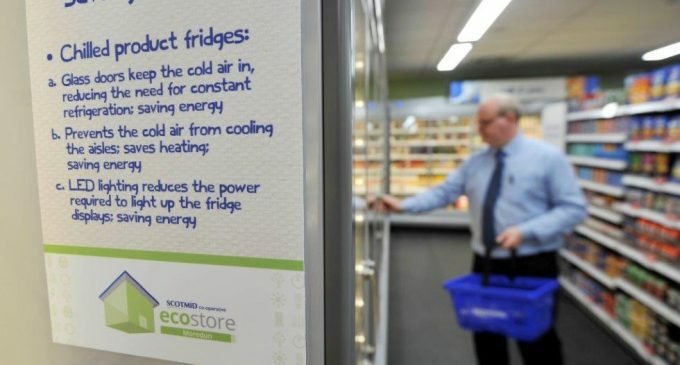 The store, which received the Scottish Grocers’ Sustainable Retailer of the Year Award, was supported with funding and advice from Resource Efficient Scotland.